Ample free parking is available in the lots adjacent to the building. 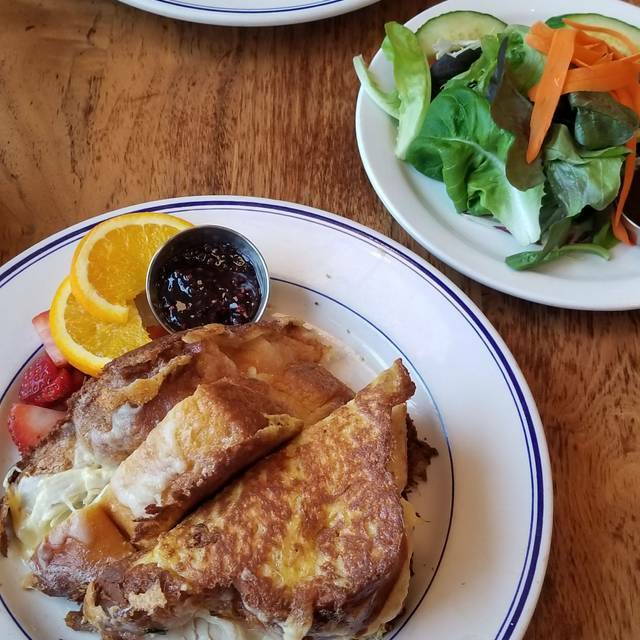 Zola Bistro is a modern independently owned and operated bistro serving breakfast, lunch, and dinner on Ann Arbor’s East Side. Our menus are inspired by flavors and recipes borrowed from European and Mediterranean cultures and cuisine, including some Turkish recipes. We are committed to sourcing the freshest and highest quality ingredients available and supporting local businesses, farms, and suppliers. Bistro’s seasonal menus emphasize organic and local produce, dairy, eggs, poultry, meat and seafood. Our full service bar features craft beers, artisanal cocktails, weekly happy hour specials, and a rotating wine selection that has been chosen from various small production vineyards throughout the world. Reservations can be made by phone during our normal business hours or by email. Please contact us for special events or large groups. I was glad we finally got a OpenTable points and I didn’t have to save my receipt and send it to you. Zola’s current reservation policy is a 10-30 minute wait with reservations. We waited 70 minutes while being told “just a few more minutes” by the hostess. The hostess was clearly overwhelmed with the poor planning and taking more reservations than they can clearly accommodate. What started out poorly didn’t get any better with slow service, mediocre food preparation, and cold food when we eventually got our food. I do not recommend this restaurant on Sundays even with reservations, unless you don’t mind waiting 60+ minutes and don’t mind slow service. Service abysmal; guests around you venting frustration the entire time; soggy undercooked fries; stale burger bun; just to name a few. We keep trying to give a chance since it opened years ago and are mystified that they can’t improve with a lot of potential. Was there for lunch at 12N. They were very understaffed and it took 45 minutes for wait staff to get our order. Had to be reminded about the coffee order, took about 30 min to arrive. Too noisy as usual, have to shout to hear each other. Food is always good. Excellent food and service. Took a bit to sort the check as there was a mix-up with the us receiving someone else's check. The wait staff quickly sorted it out and was very easy to work with! This is a fun place. It took a while to get seated, and a while to get the food. Food was inedible and absolutely horrible service. Unfriendly in general staff. I will never return. The food at Zola is always delicious, however my group and I were slightly disappointed by the speed and thoroughness of service that we received. While it was a busy Saturday morning, we were surprised that our simple breakfast orders took over an hour to reach our table, after our cups of coffees had also taken far longer than to be expected. I love Zola and all that it has to offer so I hope the service is better the next time I'm in! I have already recommended this place to couple friends. I did warn them that it is a little expensive, but it is worth. Very good food and good service. I wish it were a bit quieter. Quite expensive. It was a nice brunch with my girls. Service was slow, they are very busy. Food was very good. Go there with lots of time on your hands. 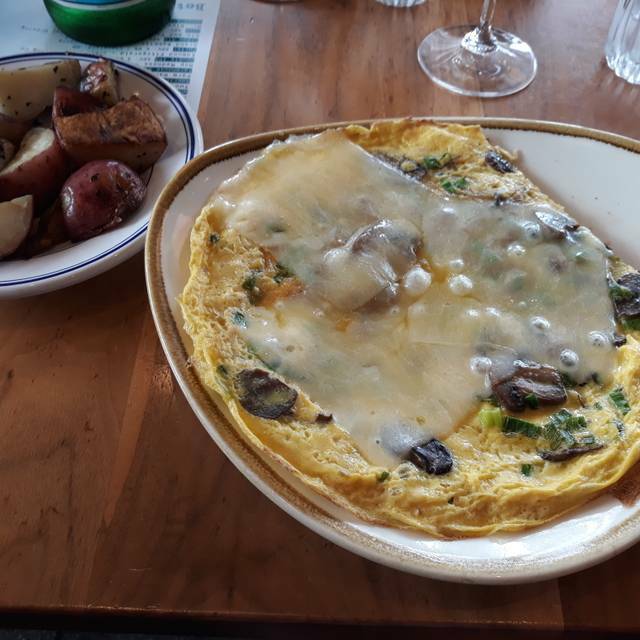 I enjoy the restaurant space, and the menu, while not perfect, has some wonderful brunch items. The service, as has been my experience in the past, is slow and forgetful. A cup of coffee is forgotten, when it arrives it is often cold, and it is not refilled. You get the wrong bill. The quality of the food is such--and the light filled room is such--that one returns. But it would be dazzling if they could (a) figure out the coffee (b) improve the service, and (c) be a little less noisy. I enjoy Zola most of the time, but it was a little too crowded on St. Patrick's day, and we were sat more than 20 minutes after our reservation time. we were very glad to have a reservation, even at 930am! our server was patient and attentive despite being totally slammed. ZB is very under rated in my opinion. Creative, very good food. Beautiful room with good service. It was the SLOWEST service ever! Food was great, waitress very nice but took SO long to get our food and our bills and change. One person had to leave before she got her change. Was not a busy time. Delicious food at their Sunday brunch, which offers a nice mix of breakfast and lunch entrees. Service was fast and efficient, food arrived quickly and piping hot! The room has a lot of hard edges, so it was loud even half full; if full it would be quite noisy. But the food makes it more than worth it! The shopping center has good parking as well, which makes this venue very convenient. Although the restaurant looked busy and people were waiting in line when we arrived we were seated within minutes of our reservation. The Shakshuka eggs were delicious . Saturday we celebrated two birthdays, and all enjoyed our special brunch treats. We sent our team here for lunch with a guest speaker from Texas. It was nice to have him have a taste of what AA offers. Saying farewell to dear friends who are moving out of town . . . It was a lovely brunch! Only the downtown Zola, not the one at the plaza. Service slow. Had to wait for someone to get us a sever. When we flagged down a server she said this was not her table. We waited flagged down the hostess. She and another server, near our table trying to figure out who was serving this table. At that point I was ready to get up and go. It was a little embarrassing and people were looking. A server was found, there were at least 6 or 8 servers working. Floor manager came and apologized and bought us a dessert that we took home. I will not return to that Zola. Like its downtown counterpart, this restaurant was over crowded and loud on a Sunday morning. The tables are very close together. The staff was a little pushy in their desire to fit as many people as possible in the restaurant, splitting our table in half and barely squeezing in our high chair. The food was delicious, but some things are over priced. $12 for a French press of coffee? It served 5 small cups; for a party of 4, we had to order a second pot. I could spend $15 on a high quality bag of coffee and make a week's worth of French presses at home. Delicious food, creative menu, priced fairly. Alexis, our server, was very attentive and took excellent care of us, my wife and I had a great experience, would gladly return. 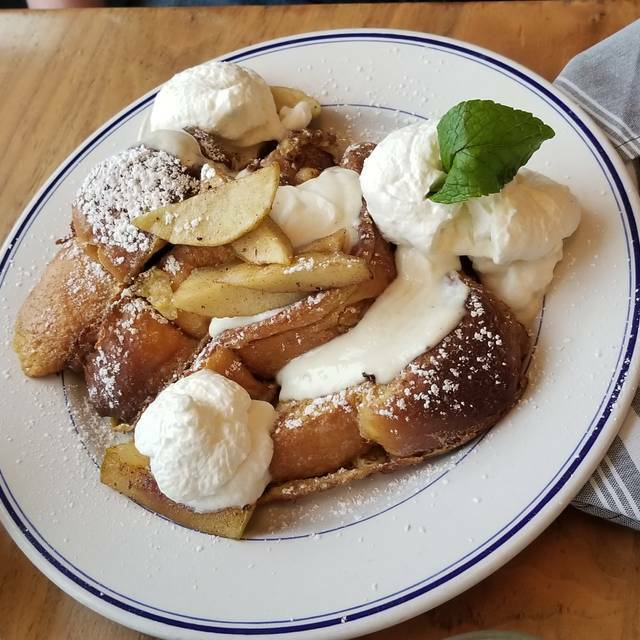 We love Zola Bistro and Cafe Zola and are usually never disappointed especially for brunch. Last nights meal and service were different. Branzino was served uncooked. The sole Valentine's special was gummy and the fish was undercooked. There didn't seem to be a manager in charge. Our waitress was nice but clearly learning the ropes. Hostess acted as if she was doing our out of town friends a favor by seating them before we arrived. Overall disappointing and we really wanted to show it off to our friends. We went here on valentines day and even though the restaurant was completely packed, the service was still very quick and the food was done perfectly. I would highly recommend this spot, and its a nice deviation from the normal main street places. Couldn't find an unwobbly table or chair. We had our server searching the restaurant for sturdy chairs and tables. Food was underseasoned and overpriced. Service was friendly, but slow. We didn't make our dinner order until 45 minutes after seating. Portions were reduced in comparison to previous visits... not interested in ever going back and will definitely not recommend to friends. Great food and great service. A little pricey, but worth it. and sharing with friends--very noisy and tight. We enjoyed our dinner on this quiet Sunday night. The food was very good but portions are small like everywhere else, so going out become a luxury nowadays. Overall nice place with delicious food. The Zola Bistro team was really great in getting us a table big enough for the 2 kids and 4 adults in our group. The food was delish as always, but their attitude in accommodating us was even better! Keep it up Zola Bistro!! We took our guest presenter here for lunch and he looked the local vibe! I am a frequent patron to this restaurant, and consistently experienced great services. We unknowingly booked on the Friday of Restaurant Week in Ann Arbor and the restaurant was absolutely slammed. In spite of the big crowds, the server was attentive and informative and the food came out without a prolonged wait and we were able to get out on time to make it to a performance on campus. The food was outstanding and the wine list featured a few gems not often seen on a by-the-glass menu. I would recommend this restaurant to anyone, and I look forward to returning. Had cocktails and appetizers for a large party (14) on a Friday night from 4:30 - 6:45. They were able to accommodate us even though it was restaurant week. Really good cocktails and beer selection, excellent service, good ambiance, and the appetizers were very good. Overall a great send-off for one of our staff. Zola was amazing. The food was spectacular and the service made herself feel like a friend. It was extremely busy; being restaurant week in Ann Arbor, but they still took care of us and the reservation was upheld.